A group of 40 organizations, including a General Motors car dealership in Guelph, says Canada needs to keep tough vehicle pollution standards and move towards a zero-emission vehicle strategy regardless of what the U.S. may do. A group of 40 organizations and businesses have written a letter to federal Environment Minister Catherine McKenna asking her to keep "stringent" pollution emission standards for automakers and move toward a zero-emission vehicle strategy. "We urge you to uphold the more stringent GHG emissions standards in Canada through 2025 for light duty vehicles," reads the letter, sent to media outlets on Wednesday. "This will reduce household costs, increase jobs in the auto sector, improve air quality, and bring Canada closer to meeting its climate change goals," the group said. Among the 40 business and organizations who signed the letter is a General Motors dealership in Guelph, Ont. — Barry Cullen Chevrolet Cadillac, the only car dealership on the list of businesses. Mark Cullen, the dealership's general manager, urged McKenna to not be "swayed by a U.S. attempt to slash pollution standards in cars and trucks," said in a release. "Auto parts manufacturers in the U.S. have pointed out that having stronger standards actually creates jobs, as well as ensuring a competitive advantage in an international market moving to cleaner, more efficient vehicles," Cullen said. Another organization that signed the letter is Emerge Guelph, a non profit organization helping residents make their homes energy-efficient in Guelph, Ont. "Currently the regulation is strong because it reduces pollution with every model year up till 2025," said Evan Ferrari, the executive director of the organization. "It seems silly, but maintaining the status quo is all we're asking," he said. "We're not asking for anything extra on the emissions standard." In August, the federal government announced it will be reviewing auto emission rules as the U.S. moves to roll back requirements. Canada and the U.S. have been aligned on vehicle emissions for more than two decades. Unless Canada scraps the existing regulations and writes its own, it automatically follows the American plan. That plan, agreed to in 2012 by then-prime minister Stephen Harper and then-president Barack Obama, was to compel automakers to make vehicles more fuel efficient each model year between 2017 and 2025. U.S. President Donald Trump announced he's going to freeze the standards as of 2021. Ferrari said not only should Canada maintain the current standards, it should also move toward a zero-emission vehicle strategy. 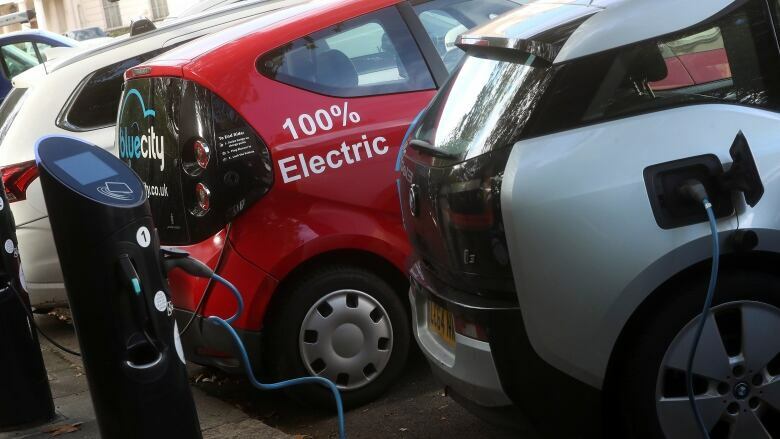 "The intention is that governments all over the world are ... putting in standards that mandate manufacturers to increase the percentage of zero-emission vehicles, either electric or hydrogen or some other technology," he said. 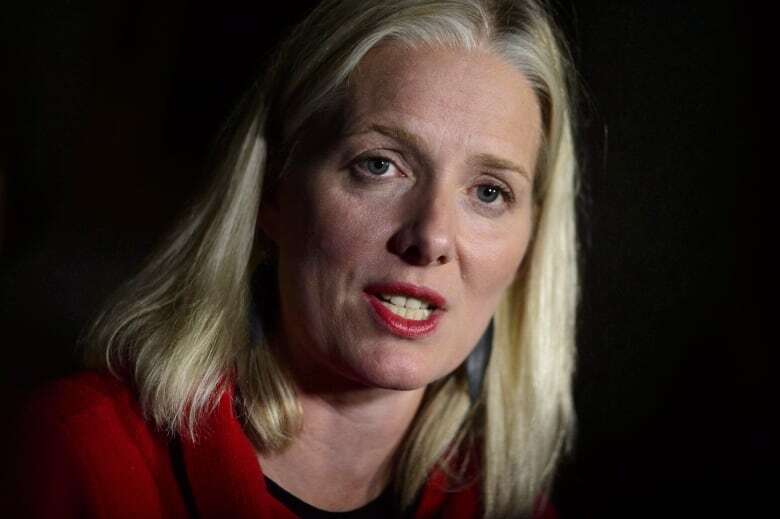 In an email statement Wednesday, a spokesperson from McKenna's office said "ensuring cleaner cars and trucks" is "a critical part" of Canada's plan. "When we first adopted our rules in 2014, we committed to conducting our own mid-term evaluation following the U.S. review, and that is exactly what we are doing," said Sabrina Kim. "As we continue to consult with Canadians, we are paying close attention to the U.S. regulatory process, and of the actions of California and other like-minded U.S. states," Kim said. "We will be carefully considering environmental and economic impacts to ensure that we enact the best regulations that work for Canada."